Abercrombie & Fitch reported a drop in sales for its most recent quarter as well as releasing a cautious outlook for the rest of the year, as the retailer of apparel struggled to entice shoppers into its locations in malls. Abercrombie shares, which rose by over 20% the past year, dropped 11% in premarket trading on Tuesday. Sales at its locations open a minimum of 13 months will remain challenging during the second six months of the year, said a statement released by the company. 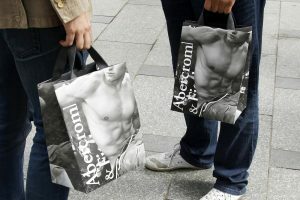 In May, Abercrombie expected results to be better after making assortment changes as well as other investments. Arthur Martinez the Executive Chairman cited headwinds at malls in the U.S. that have reduced store traffic and a substantial drop in tourism. Martinez added that the company does not see the headwinds changing during the upcoming few months. The company said its sales at stores that have been opened a minimum of one year were down by 4% during its second quarter that ended on July 30, which matched the drop during the first quarter and the results from the same period one year ago. Analysts were expecting a drop of 4.2%. The Hollister brand of the company, which has been its bright spot over the last few quarters, also lost its momentum. Sales of Hollister at stores that were opened 13 months or more fell by 2%, while that same metric was down 7% for Abercrombie. The namesake brand of the company released a new line over the past few months, reflecting a new look from its prior sexualized image. The clothing still includes denim and other basic, which is a market that has other competitors that are ailing as well. Total revenue was down 4% to just over $783.2 million during the quarter. The net loss for the company reached $13.1 million equal to 19 cents per share, in comparison to $800,000 equal to 1 penny for the same period one year ago. Analysts were expecting 20 cents per share loss with revenue reaching $783 million. One improvement for the company was its performance online. Sales direct to consumers increased to 23% of its total sales for the company, in comparison to 21% in 2015. The increase was due to progress the company made on the design of its website and its omni-channel initiatives. The company recently broadened its reach on the web through a wholesale agreement with online fashion retailer Zalando SE, which is European based.